Can you find love in a hopeless place? Nobody would ever describe Scarlet Williams as a ray of sunshine, but that doesn’t mean she deserves the flood that wipes out her basement flat, making her temporarily homeless. Enter Joy Hudson, local mayor & sunshine specialist, who opens her house to flood refugees and ends up with Scarlet on her doorstep. Two more opposing characters you couldn’t fail to meet, and yet, somehow, they strike up a friendship. But when the rain stops and the sun comes out, could that friendship blossom into something more? 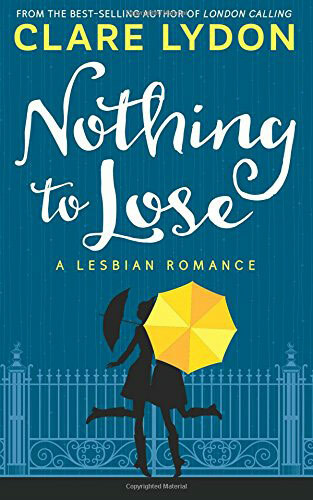 If you’re a fan of contemporary lesbian romance, you’ll love Scarlet & Joy’s story, bursting with real characters and shot through with British wit. From the international best-selling author of London Calling and This London Love comes a heart-warming tale of love & redemption. Find out if opposites really do attract: buy Nothing To Lose today!